The Safco Executive Mobile Lectern is a durable multi-use presentation stand. 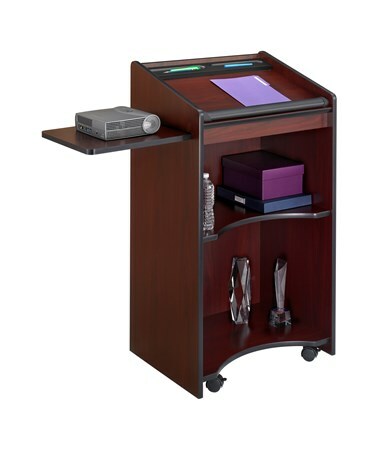 It has a 23 ¾ inches wide reading surface with a pencil tray and cushioned wrist support that also serves as a paper top. 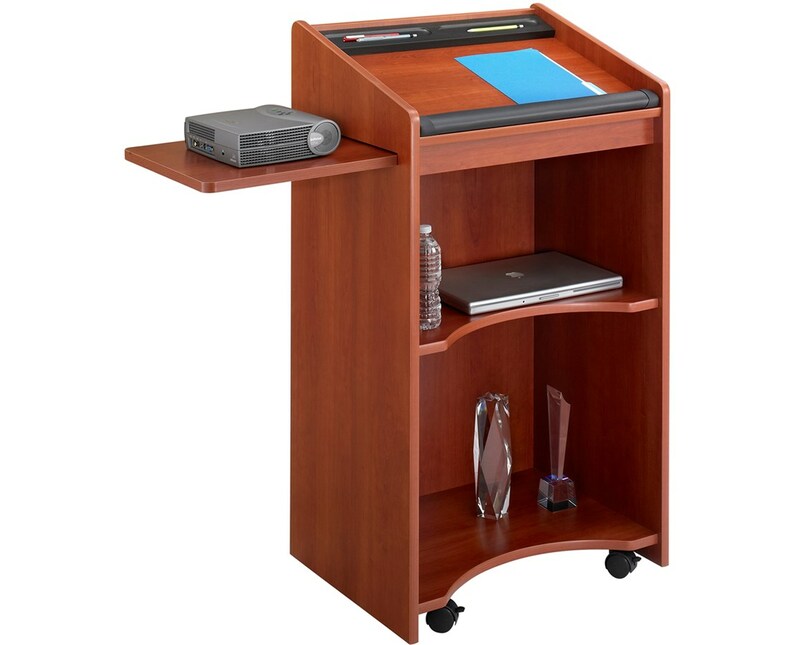 Also featured is a side shelf that pulls out on the left or right side, ideal for small equipment like a projector. 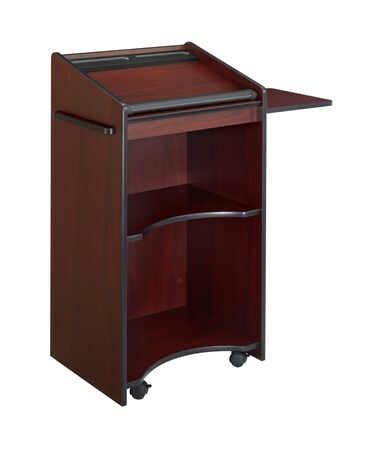 Two enclosed curved interior shelves are included for additional storage. The upper shelf adjusts in 2.5-inch increments while the lower shelf is fixed. 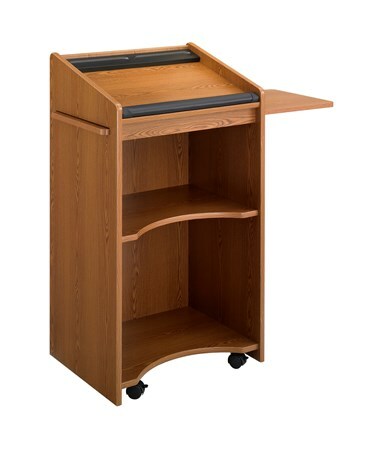 This lectern is mobile on four dual wheel carpet casters with two of them having locking brakes. It is made of furniture-grade particleboard with a laminate finish and is easy to assemble with its cam-lock fasteners. 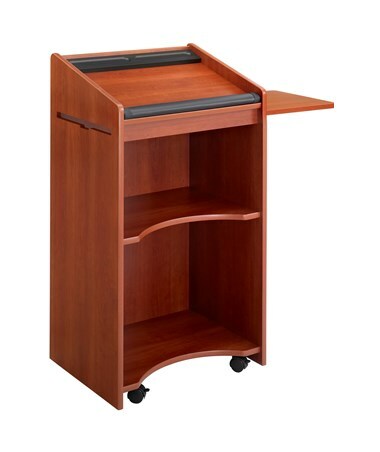 The Safco Executive Mobile Lectern is available in two different colors. Please select your preference from the choices above.